In this course, we will explore the distinctions and ambiguities between music and everyday sounds. Numerous experimental musicians aim to create sonic experiences that lie in between these two extremes, heightening and playing with the resulting ambiguity. These works provoke questions such as: Are everyday sounds already music, or must they be processed and re-framed in order to become music, and in what ways? 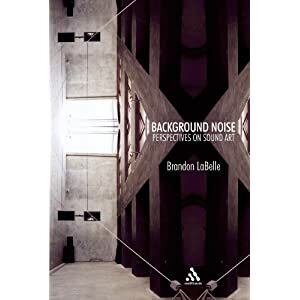 We will explore these issues as a way to ask broad questions about what music is and how we listen to it, focusing on experimental and electronic music, as well as on related developments in sound art, installation art, architecture, cultural theory, urban sociology, and mass culture. In addition to lecture and discussion formats, the class will also include in-class listening exercises, demonstrations, and informal performances. No prior musical experience is required. Max Neuhaus, “Notes on Place and Moment,” online at http://www.maxneuhaus. Readings: Max Neuhaus, “The Broadcast Works and the Adium,” online at http://www.maxneuhaus. Sounds like my type of class. And also, over the summer Tucker’s fellow UB composer Jacob Gotlib taught a class called “Music 113- Music and Society: Noise.” You can sample that classes syllabus, readings, and assigned sounds here. This entry was posted on Tuesday, August 21st, 2012 at 6:23 PM	and tagged with colin tucker, jacob gotlib, Music 113- Music and Society: Noise, Music 114: Everyday Sounds and Experimental Music and posted in read. You can follow any responses to this entry through the RSS 2.0 feed.